NOTE: This content is old - Published: Tuesday, Aug 9th, 2011. North Wales Police officers have been sent to help police the London riots. Three nights of disorder have taken place across the London area which has seen over 500 people arrested amid widespread looting and scenes of arson. 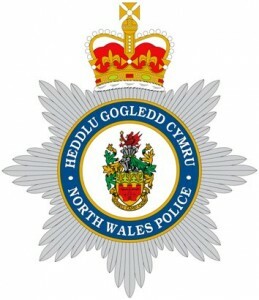 Whilst they would not give specific figures North Wales Police confirmed that they had sent officers to assist today. Deputy Chief Constable Ian Shannon said: “This morning North Wales Police officers with specialist public order training and skills have been sent to assist colleagues in London. 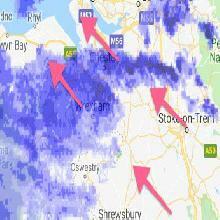 Rioting has also spread to Birmingham, Manchester, Liverpool and Bristol. A number of false rumours of rioting in Wrexham have been spread via social media sites Twitter and Facebook. One poster on Twitter wrote “Not sure if true but anyone in Eagles Meadow? Had a text to say its going to kick off there?”. We also received a tweet to our Twitter account asking whether the Eagles Meadow car park was on fire. A Wrexham.com reporter visited Eagles Meadow at 7pm this evening and everything was as normal and we’ve been told by staff who work at the centre that there has been not even the slightest threat of unrest throughout the day. We have also paid visits to Wrexham and Chester town centres where everything is similarly calm. We would like to urge readers not to get caught up in the rumour mill unless police report anything to the contrary as similar false rumours also appeared last night.